A gaming update, updated again! Once again, it’s time for my sorta-quarterly update on all things in my gaming circle. Happily, things haven’t been too shabby. In and among all our house projects, gaming has been a pretty important outlet these past few months. Because after you’ve spent a day wading through 50-year-old insulation, the LAST you want to do is dress up to go out and be social with other real people. Or maybe that’s just me. Either way, GAMEZ! The more the better, I say, even if “more” only occurs in small bursts. Smaller is good-er, sometimes, right? Uh…yeah. Sure. Games to follow, in no particular order, as I honestly can’t remember the order. I just know that I played ’em. This game, people. This game. Every word I could possible write about my experience with this amazing game (amazing in ways both good and awful) is already down for posterity over on Virtual Bastion. And it’s in two parts, so that means I had a lot of words to say. As I had done earlier this year with Mass Effect 1 and 2, a bit of time opened up not long ago where I was able to complete a somewhat speedy playthrough of Mass Effect 3. My goal with this whole play-Mass-Effect-story-only-no-sidequesty-fun was to unravel the core of each game to see if Mass Effect was any good without all the side stuff. With ME1 and 2, I heartily said. “yes. they are.” With Mass Effect 3….well, things went a little…differently. For my full write-up, head to this link on Virtual Bastion. After what seems like f-o-r-e-v-e-r, I’ve finally completed Phoenix Wright: Ace Attorney – Justice for All. Much like with the first game, I find myself in awe of the experience. I know that “awe” probably isn’t a word applied to many visual novel games, but there’s something pretty special about Ace Attorney, and I think it revolves around storytelling and character. As ridiculous as the games’ cases are, and as illogical as the case logic is at points, the game succeeds in crafting elegant stories despite the madness. And the same can be said of the games’ characters. As wacky as they can be, each of them is imbued with plenty of charm and heart, even the bad guys. Quote from my Virtual Bastion article on the game. I remain quite surprised at just how much I like this series. Something’s new around every corner in each game! After a rather stress-filled bout with real life dealings earlier this summer, I needed a break from life, generally. And it’s no grand secret that games can offer a perfect escape, if only for a little while. Turned out that what I needed came in the form to two fantasy games, the first being Skyrim. I started up a new game after not playing for quite some time. (I noticed that my last save had been from 2014. Boy that was a looooong time ago.) At the time I really just wanted to tool around in the game, visiting places old and new. Wandering from the wastes to its snow-capped mountains. Just a few hours into the game, I inadvertently stumbled into what turned out to be a sidequest involving me becoming part of the Dark Brotherhood, an organizations of assassins. As I had completely missed this portion of the game before, I decided to run with it. Completing all the Dark Brotherhood missions took me a couple weeks – longer than I had expected for a sidequest! – but the experience was super satisfying. Not only did I get to hone my assassin-like reflexes (something I wholly avoided before in the game, preferring to bash things at will instead), but I also opened up a number of places I hadn’t been to before. By the time it was over, I was plenty satiated. Now I love the thought of going back to Skyrim some day just to work through similar things that don’t have much to do with the main story. It’s high proof that Skyrim remains a very special game. I wrote about Fable 2 just recently here, as it provided my second outlet from the stresses of life this summer. If you’ve played Fable 2, then you know that while it may not the best RPG around, it’s far from the worst. Much like with Skyrim, I adore the freedom allowed to players in Fable 2. You can follow to main story, or not. You can spend all of your time taking jobs and making money, or not. You can play dress-up and get married, or not. I had beaten the game years ago when it was still a game full of (mostly empty) promises – I loved it as much then as I do know – so completing the game wasn’t a necessary task. I just needed to be Albion’s hero for a little while. After all, you don’t always need to play the “best” game to have a good time. You really just need to play that which makes you happy. Everything I have to say about returning to Kingdom Hearts, I’ve written up in a Virtual Bastion post that’ll go live tomorrow. (Once it does, I’ll update this blurb.) Spoiler: It’s possible that I don’t like Kingdom Hearts. I have to be honest – I’m lucky that I’m still playing this game. In my last update, I alluded to the fact that I might not be able to keep up the playthrough, but thankfully, things have been steady. Though I’m down to barely scraping out one episode a week, and I doubt that’ll change. However, I’m still on borrowed time, and I’ve decide that if worse comes to worse, if I have to suspend the videos, I’ll complete the game in written form. I don’t know that blogs about the game will be quite as compelling (writing about card draws over and over doesn’t sound all that appealing, either from my end or yours), but I’ll figure something out. Of course I’m playing the third Phoenix Wright game! Because the first two didn’t quite fill my wacky-needs meter. Ahahaha…but yes, Trials and Tribulations is in the works, slowly. Between everything else that’s been going on, the game has taken a backseat for the moment. 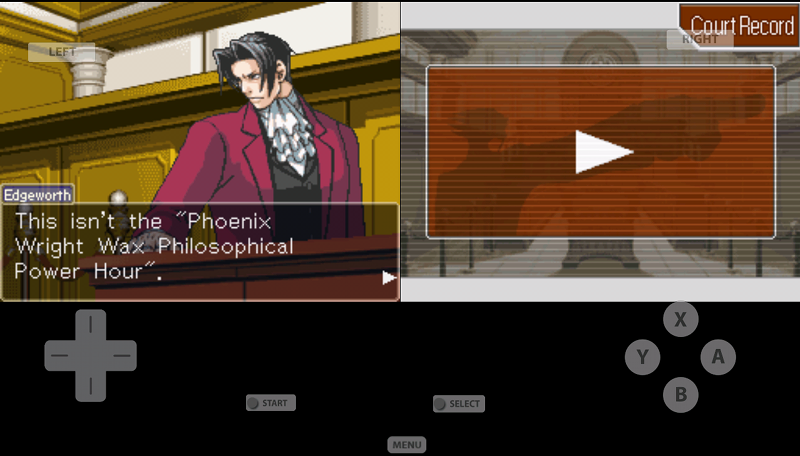 But I’m in the middle of the game’s third trial, Recipe for Turnabout, and it’s an odd one for sure. With previous trials, it eventually became obvious where the story was heading. With this one…I think I see where it’s going, but, after meeting a couple new (and surely weird) people, now I’m not sure at all. I still haven’t decided what system I’m going to get this game for, but I’m going to get it. On release day, too. Now, that doesn’t mean I’m going to play it on release day, because my life simply isn’t that orderly. But I do hope to get some good ol’ South Parkian-gameplay in before the year is out. Whew. That’s quite a bit more than I expected to type. Looking at this, I feel quite accomplished…but again, as I said at the beginning, all this gaming has come at the expense of being social. I know that life’s pendulum will swing back that way, as it always does. But to be honest, I don’t mind having the excuse of renovations to stay at home right now. Compared to previously summer that were full of going here, there, and everywhere, being able to stay close to home is nice too. (Besides, going to Home Depot weekly is an adventure in and of itself!) Of course, I can’t wait to have the house back to its normal, non-dusty/tools-scattered/when-can-I-have-my-office-back? self. But all in good time. There are a couple on the list I have, but have not yet played. Shadow of the Colossus was my one regret for the PS2, I have it, but it remains sealed. ICO I had loved. It’s only in hindsight that I can call Shadow of the Colossus an amazing experience, but it gets a thumbs up for me. (You best hold onto that sealed copy – it could be worth something!) I played the remastered version for the PS3, through the PS Store. The Mass Effect games are third-person shooters. I had to give up on first-person shooters for awhile too, due to motion sickness, but I had no problem playing the ME games. I like, too, that the third-person view presents players with a nice, wide view during battles. It helps them from feeling too claustrophobic. So many games , so little time. “Yikes, that’s a lot of games!” is actually what I thought when I finished writing this post, too. But I know I won’t be playing as much in the coming months, so I was happy to enjoy it while I could. 🙂 You’ve got quite an ambitious list yourself (I’ve heard that Person 5 is hundreds of hours on its own); I hope you find the time to work through them. While I think Mass Effect is totally worth playing, I understand that it’s just not for some people. My husband has tried getting into the series several times, but it’s never hooked him. The clunkiness of the first game is something of a drawback. I’d almost recommend that new players start with the second game, which is just tighter and has more solid combat features. My brother said the same thing about Mass Effect….. start with the ME 2. About Persona franchise……. hundreds of hours, hah ! You can say that again. Been there, done that. I highly recommend the game, even to folks who say they don’t like shooters. The thing about it is that it’s a smart/dumb game…and I mean that in the nicest way possible. It’s “smart” in design, mechanics, and story – everything about the game felt solid, and I really enjoyed the way its story was told. It’s “dumb” in that it doesn’t take itself too seriously. It drips with wit and sarcasm. And as such, it’s not a punishing experience, even for non-shooter folks like me. If anything, the game rewarded me for being…rather…creative, at times, with how I got through levels. In the end, the game was just flat-out fun. I really enjoyed Tell Tales Tales of the Borderlands especially because of its humor so it sounds like I will enjoy this as well. I am a big fan of shooters so this keeps sounding like I’m gonna have to buy it haha! Were you also a fan of the other game Borderlands the Pre-Sequel? Can’t say. 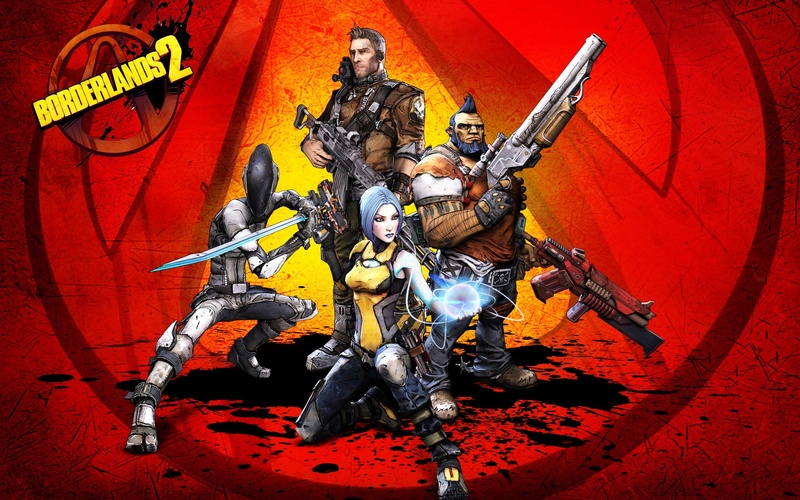 So far, Borderlands 2 is the only game from the series that I’ve played, but I do want to play some of the others, especially the pre-sequel. (Handsome Jack is just such a compelling character!) From what I understand, Tales of the Borderlands is a great extension of the series, so yeah, I imagine if you liked it, you’ll like the other games. While I think I’ll always be a little more at home in Mass Effect, it feels great playing DA:O again. I had forgotten just how charming the game is overall, as well as how fantastic conversing with your companions is. The game definitely highlights Bioware’s keen knack for immersive and intriguing storytelling. BioWare is king of characters! I still haven’t played any of the Mass Effect games yet. They are next on my gaming agenda after Dragon Age.